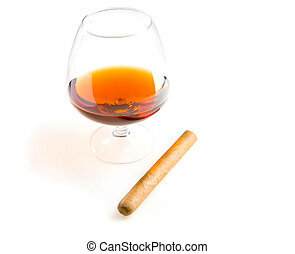 Cognac and cigar. 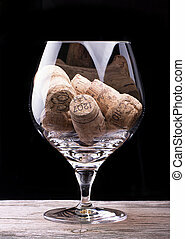 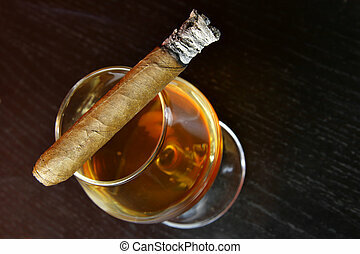 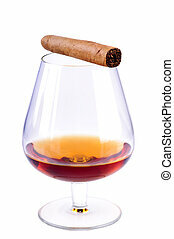 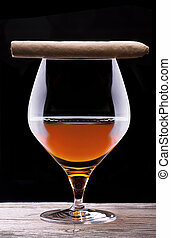 Beautiful cognac with cuban cigar close up shoot. 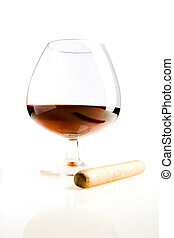 Cognac and cigar close-up. 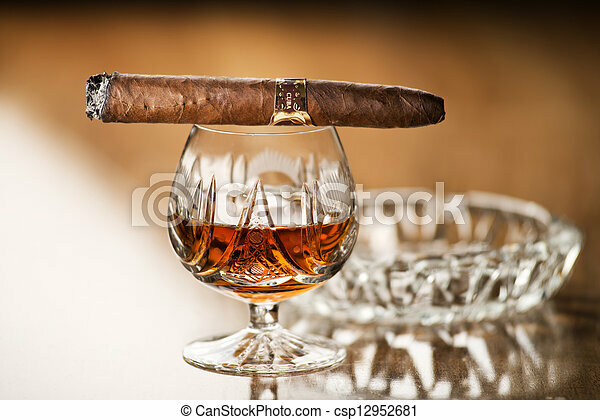 Focus on the cigar. 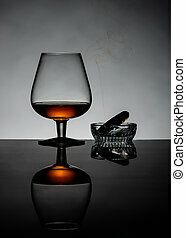 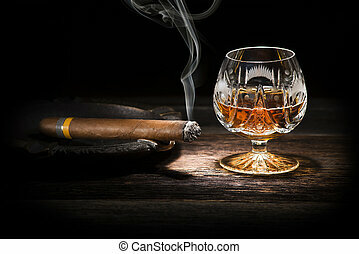 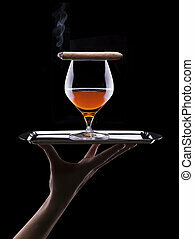 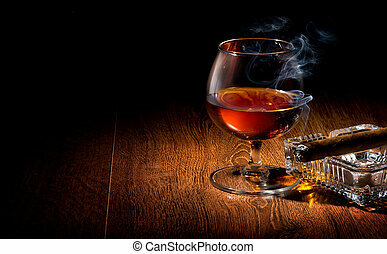 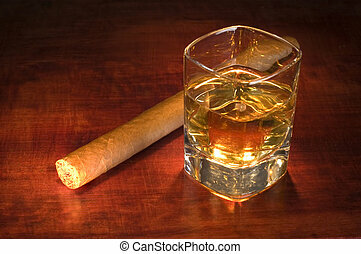 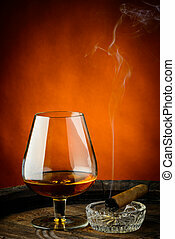 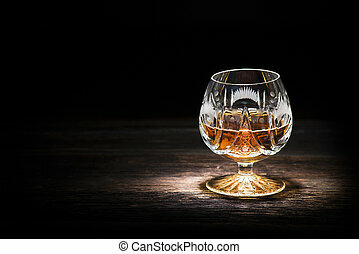 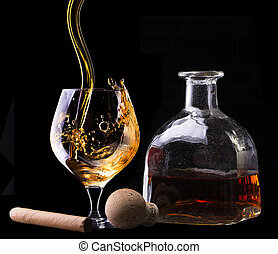 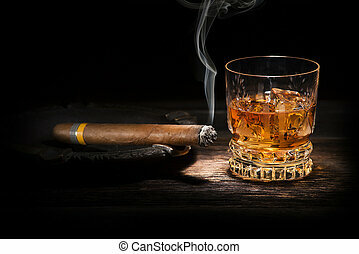 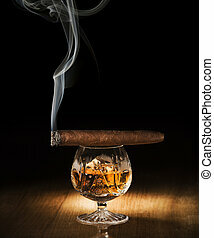 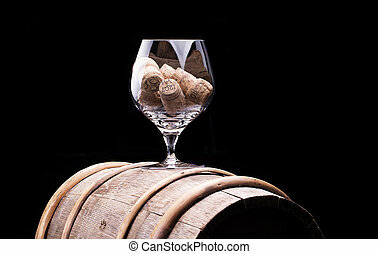 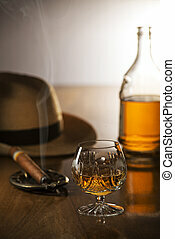 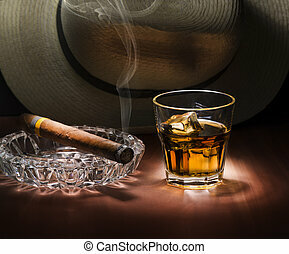 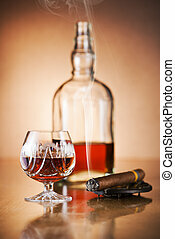 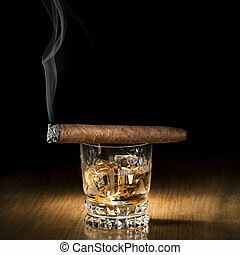 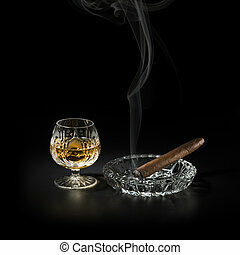 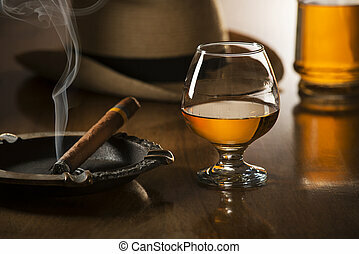 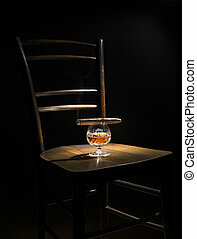 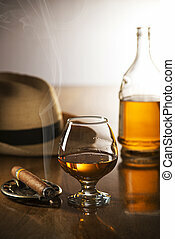 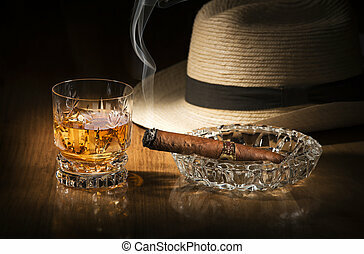 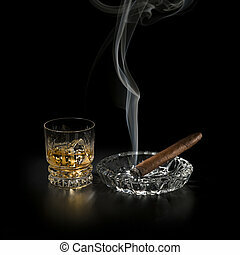 Whiskey, cognac, brandy and cigar on wooden background.